The first update of 2018 for Fortnite: Battle Royale is out out now across PC, Xbox One, and PlayStation 4. The update's big new addition is the silenced pistol. As explained in this forum post, the silenced pistol can be found in treasure chests, supply drops, or regular loot. You can find it in either Epic or Legendary rarity level. Today's Fortnite: Battle Royale update also gets ready for a new "limited time mode" called Sneaky Silencers. In this mode, you can only use suppressed SMG and suppressed pistols, so you will have to think ahead and plan accordingly for your stealthy attacks. Additionally, traps are disabled and the Bush item--which you can use to conceal yourself--sees its drop rate "greatly increased." It sounds like this new mode is all about pure stealth. The Sneaky Silencers mode will be available from January 5 through January 8, so there is only a small window of time to check it out. This mode will replace the previous limited time mode, High Explosives. Battle Royale is Fortnite's free, PUBG-style survival mode. It's available for PlayStation 4, Xbox One, and PC. 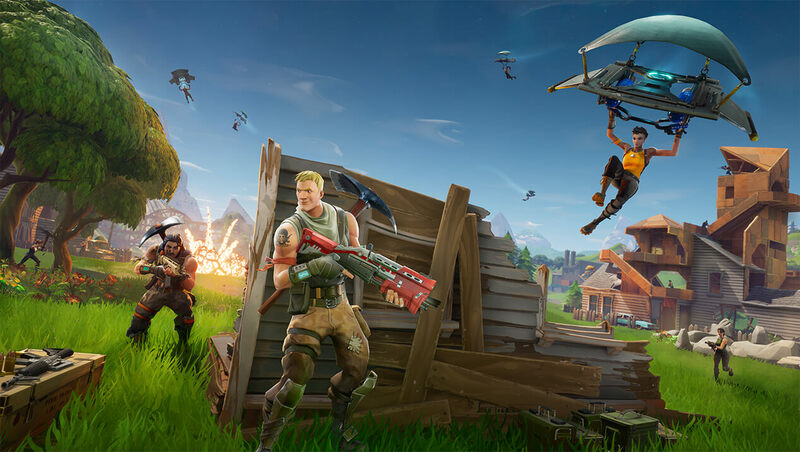 Epic recently rolled out a new update for the mode that introduced smoke grenades, two new leaderboards, and Xbox One X support. The update also added new items and content to Fortnite's Save the World mode.